Now there are so many things that make music beautiful that to list them here would take me quite a while. I'm not going to do that. Nope, I'm just going to share one reason I find beauty in music. 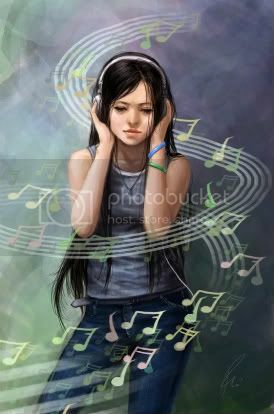 Music is the one thing that will bring back the sharpest of memories for me. Scent will bring stuff back as well as sight, but those memories are nothing like hearing a song. Today, as I sat here writing, I heard one such song. Monday Morning by Fleetwood Mac. I was instantly pulled back to when I was a little girl, hiding in the hallway and spying on all the revelry of my parents parties. The houses blur as we lived in many different ones, but always there were parties. Laughter, talking, hollering and general naughtiness ensued at my parents parties and I loved peeking in on every moment. The thing I waited for though was the moment I saw my mom, happy and strong. Living her moment, loving her moment and on the turn table(dating myself here) was this song. It's funny, our memories, I know there were hundreds of other songs I heard at those parties, but this one stands out to me. It makes me smile. She always caught me peeking and she always handled it with style and grace...a lift of her eyebrow, the mouthed words "go back to bed" and a smile. Oh, Serena, what beautiful memories... nothing like it.